Nu-Heat’s Technical Team provide support to all types of customer – whether you’re an installer out on site, or a homeowner who has just bought a property with a Nu-Heat system already installed. How long have you been at Nu-Heat and what did you do before? Dean: 17 years! I joined as a Warehouse Operative, working my way up to Warehouse Operations Manager. The experience I gained gave me the opportunity to become the Technical Support Manager a couple of years ago. Paul: I have been at Nu-Heat for 8 years now, starting out in the Design Team, and have 38 years’ experience in the refrigeration, air conditioning and heating industry. John: I’ve been part of the Tech Team for 6 years. Prior to that I was a pipe fitter, plumber and an estate agent. Ollie: Just under 9 years. I spent the majority of that time working in dispatch before joining the Technical Team 6 months ago. I’ve completed all of the NICEIC courses that Nu-Heat offers as well as an electrical and PAT testing course. Nigel: Over 5 years. I spent 28 years in photography straight from school, then worked in a wide range of admin roles involving street mapping for Huntingdon Council, then the Plastic Surgeon, then South West Water and now here. Steven: I’m the newest member of the team having joined 8 months ago. I started in the warehouse before moving across to Technical. Beforehand I was a delivery driver and a fitness instructor. What do you like about Nu-Heat and being a part of the Technical Support Team? Paul: I enjoy helping customers and installers overcome problems and issues. I love problem solving and the fact that I never know what the day will bring. Dean: I really enjoy the challenge of turning a customer’s negative experience into a positive one. I’m part of Nu-Heat’s customer service strategy team and am heavily involved with customer service decisions which I really enjoy. Supporting the team to ensure we provide the best customer experience and aftercare is a passion of mine and one I always strive to improve. Nigel: The variety of things to do each day within my Technical Administrator role. No two days are the same! Steven: Everyone at Nu-Heat is friendly and helpful. The products are all of a really high standard. Ollie: I enjoy solving problems and learning new things. It’s a pleasure helping customers who call us 10 years after their installation asking for support. Thanks to our fantastic computer system, I can pull up their name and project details on the screen to help with their query. John: Nu-Heat is a forward thinking, progressive company. Working in Technical is always a challenge as no two installations are the same. Do you have a favourite product, or can you give an example of support you have given that sticks with you? Ollie: Favourite product would be the new SmartStat. I’m a geek and love technology so to have an all-in-one stat that is so simple to fit and then control your heating from your phone is great. Paul: I’m proud of all the products and with each customer I supply a satisfactory outcome to. John: Difficult to pick a favourite product but LoPro®Max and LoPro®10 would have to be in the top 3! Dean: LoPro®10 is a great product and one that has excited a lot of customers. It’s a great way to retrofit and is a product we can be very proud of. In terms of support, I recently helped resolve an issue with a faulty heat pump at a children’s nursery. Because of the high importance, I took the decision to send one of our engineers out to swap the unit for a new one within 5 days. This prevented the nursery from closing and gave us time to test the faulty unit here at our premises. This is the level of service we pride ourselves on and it was really appreciated by the customer. Steve: The new and improved OneZone® kits with SmartStat. They are really simple to install and the stats are easy to use. They offer great value for money! In our final Meet the Account Managers post, we speak with Alec P, Lindsey, Blue and Leigh. Nu-Heat’s Account Managers work with you to understand your project requirements, advising the most suitable solution and providing a bespoke quote within 72 hours. They also keep in touch with you throughout your project, discussing any amendments that may be needed to the system design, guiding it through the design stage right through to delivery. Alec P: I joined Nu-Heat five years ago. Before then, I was a Royal Marines Commando in the Royal Marines Reserves and was also a self-employed landscape gardener. Lindsey: I started at the same time as Alec, which made things a lot easier as we learned together. Before Nu-Heat I was a Product Manager buying pet and equestrian goods for a national company. I then became Customer Relationship Manager for the same company resolving customer issues and developing a strategy for improving customer service across the business. I have also built my own property and renovated a few so there was some relevant experience! Blue: I’ve been at Nu-Heat for around six years and started off in the Business Development team. Previously I sold external insulated render systems and had also ran a small trading company in Zambia that sourced parts and engineering solutions for various industries. Leigh: 2 months. Before joining I worked at a renewable energy company. Lindsey: I love the variety of people that I get to speak to. I enjoy getting involved with self-builders and helping them towards their lifelong dream house as well as developing long term relationships with installers – it’s vital that we provide them with the information that they need swiftly and efficiently as they are busy people who don’t have the time to be sitting at a desk. Blue: It gives me the opportunity to do what I love which is come up with a solution to a customer need. Nu-Heat is a stress-free environment to work in and everyone is approachable. Leigh: I love the consultative side of things at Nu-Heat. I enjoy interacting with my customers on a daily basis. Alec P: The people. Everyone is brilliant. I knew of Nu-Heat’s history and reputation as a family run business before I joined and despite having grown quickly over the years it has still maintained a very friendly working environment. I also enjoy developing strong working relationships with our customers. Do you have a favourite product or project? Leigh: I love the features and benefits of our neo smart control package. Alec P: My favourite product is our NIBE air source heat pump offering. It’s one of the quietest on the market and feedback from our Registered Installers has only been positive. It’s a great product. Lindsey: The LoPro® range means that we now have lots of exciting renovation projects in London and I always love looking at those plans! I really do enjoy GSHP projects as they have the added complexity of the land requirements. Customers looking for a GSHP tend to be very passionate about their projects and I have developed close relationships with some wonderful people. Blue: It would have to be LoPro®Max – my house was used to test it during the development stage – but I like to think it’s the relationships with repeat customers that I enjoy the most. Following on from our last Meet the Team post introducing the Account Managers, we speak with Alec B, Mike, Rachel R and Simon. Alec B: I’ve worked at Nu-Heat for a year and a half, having joined the Technical Support team to begin with. Before Nu-Heat, I spent 8 years as a plumbing and heating engineer, even installing Nu-Heat’s systems! Mike: I’ve been an Account Manager here for six years. Throughout my career I’ve worked for most of the major merchants such as Travis Perkins, Plumbase, Plumb Centre and Build Centre. Rachel R: In total I have been at Nu-Heat for around 18 years! I started in the admin team – there were just 3 of us then – and coordinated the deliveries. I then progressed to the sales team then more recently became an Account Manager. Simon: For 3 years now, starting in the Business Development team. I have over 10 years’ experience in various account management positions. Mike: I love the diversity of the role, working with both trade customers and then self-builders means it’s different every day. I also like being part of an ethical company – we only sell systems when we know they will meet the high expectations of the customer. Alec B: Nu-Heat is a great company to work for. It has a friendly atmosphere and everyone who works here wants the same thing: for Nu-Heat to succeed by doing our very best to serve our customers. Being an Account Manager is satisfying – I help the customer throughout their project, from start to finish. Simon: I enjoy working here as Nu-Heat is an ethical business that truly values its customers, reputation and products. These values make it easy to promote what we do confidently. Rachel R: I enjoy building relationships with my customers and being able to find solutions for their projects. The technical aspect of the role has always kept me interested and challenged me. I value Nu-Heat’s approach and ethics and believe these are what have kept me here for such a long time! Rachel R: I can’t pinpoint a specific favourite as I have been involved in so many! I was here when we used the old Contraflo system, before changing to Fastflo, and also experienced the introduction of heat pumps and solar. A highlight for me though was going to Germany with a handful of others to see our UFH tube manufacturer at the time. Alec B: As a previous installer I found LoPro® to be a brilliant product then and even more now. It fits into almost every scenario and I know that when I’m speaking with an installer that they are going to enjoy installing it. Mike: My favourite products are heat pumps. I love the concept of them and the fact it helps to reduce people’s carbon footprint. Simon: LoPro®Max is a fantastic product that meets the needs of most homeowners looking to make improvements to their home and living lifestyle. In our final Meet the Account Managers post, we’ll be speaking with Lindsey, Blue, Leigh and Alec P. Click here to view the post. 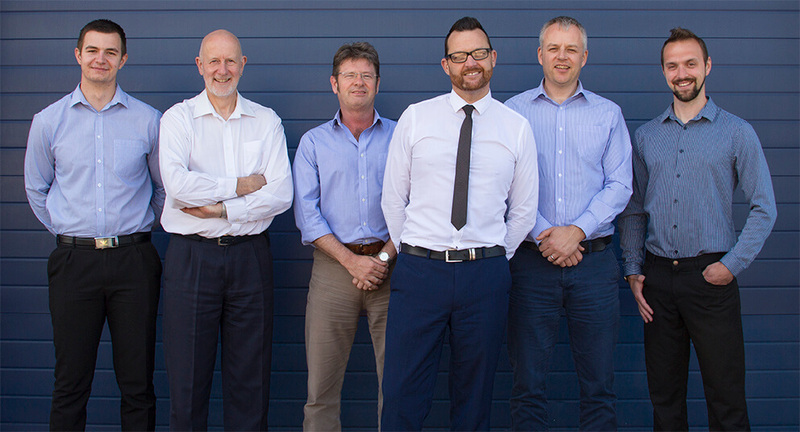 At Nu-Heat we have a dedicated team of Account Managers. They work with a wide range of customers, from single-project self-builders to loyal installers that have chosen our systems for years. The Account Managers offer a tailored approach, working with you to understand the project requirements to advise the most suitable solution, providing a quote within 72 hours. The aim is to always make sure that every project we deal with is delivered right first time, every time. As they’re a team of 12, we’ll be introducing them over three separate blog posts. First up, we speak with Gina, Rachel M and Mark, as well as Jess, the team’s Administration Coordinator. Gina: I joined Nu-Heat over 14 years ago as their only Estimator and then progressed to running a team of two Estimators. Shortly after I moved over to become an Account Manager and eventually progressed into my current role as a Senior Account Manager. Rachel M: I’ve been here for nearly five years. Before Nu-Heat, I studied for my degree (BSC Built and Natural Environment) in Bristol and worked for Mole Valley Forage Services as part of their sales team. Mark: I started two years ago having previously been an Account Manager for an IT company, running projects that included the management of customer records. I have also worked in retail management and as a sales rep in the roofing industry. Jess: I joined Nu-Heat nearly three years ago as an apprentice to develop new skills. I’m now a full-time member of the team. Mark: The people. I love working in this team as we all help each other and have a laugh every day! Gina: There are a number of reasons why I love working here but it is mainly the people I work with. As I started when there was only a third of the staff, I have seen it develop into the company it is now and I feel very passionate about Nu-Heat and ensuring that we are a success. Jess: I enjoy my role as I get to see so many different projects which is interesting. It’s a very friendly environment and everybody works as a team. Rachel M: I like the fact that we deal with so many different types of project – every day is different and there’s never a dull moment! It’s great to work for a family run company that has been going for over 20 years. Rachel M: The LoPro™ range has really opened up the market and has enabled more people to enjoy the benefits of UFH. Mark: LoPro™Max is my favourite product as it opens up the door to renovation projects that might otherwise not be suitable for underfloor heating. Gina: I wouldn’t say I have a particular favourite, but I do have a strong belief in everything we do as a company and our ethics. In our next Meet the Account Managers post, we’ll be speaking with Alec B, Mike, Rachel and Simon. Click here to view the post.